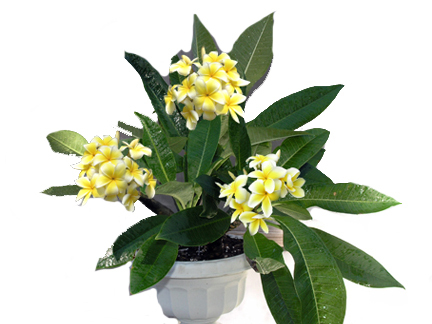 A wonderful compact growing plumeria with celadine flowers. Perfect for those who have limited space or for those in northern climes that wish to grow them indoors. This can be accomplished with adding a grow light with a timer.